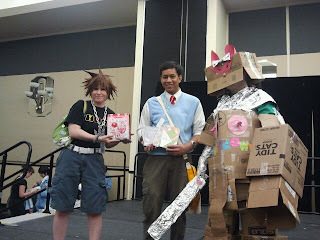 Propeller Anime: Iron Cardboard Robot Cosplay Returns To Knightrokon 2013! 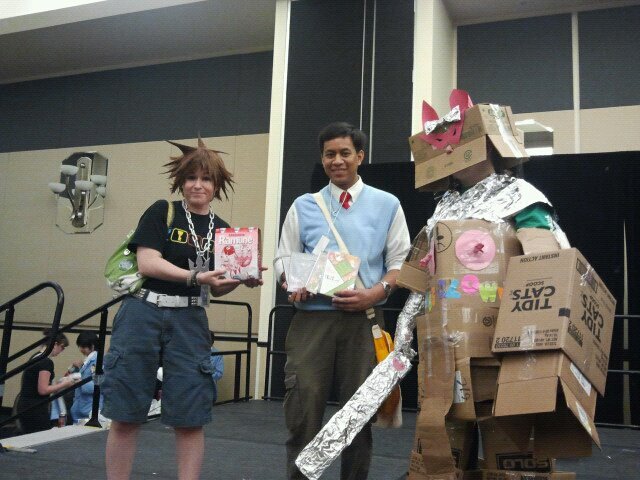 Iron Cardboard Robot Cosplay Returns To Knightrokon 2013! The Winning Team from Knightrokon 2012! 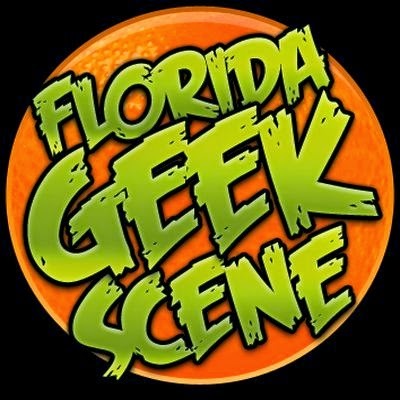 Knightrokon is this weekend! Holy crap! We hope you have checked out our panel and video room schedules already and our planning your weekend to be awesome! Up to 8 teams of 3 will compete for 75 minutes to create and wear robot costumes using cardboard, foil, tape, construction paper, and a secret ingredient! The best team wins a shiny plaque and prizes courtesy of Propeller Anime! We'll supply you guys with all the materials. Just show up as a team of three! If you are coming by yourself, we will work to get you teamed up with any other people that show up. It is very important that you have a team name that you will want to stick with in case you win. We'll actually be mailing the plaque out after the convention, and it will have your team's name on it! You will also win cool anime DVDs from our prize box, courtesy of Funimation Entertainment. We'll register teams at the start of the event 12:30pm. Once it looks like we have everyone that will be competing registered, we will reveal the secret ingredient(that you must use) and start the competition. Every team will have 75 minutes to create a robot costume and have a team member wearing it before time is up. After that, we'll give each team time to have their entry photographed and explain their costume to the judges. Each judge will then give their thoughts and score from 1 to 10, with 10 being the highest score possible. The team with the highest combined score will win Iron Cardboard Robot Cosplay! We hope that makes sense. If you have any questions, please leave questions in the comments. See you all this weekend! All the episodes are available online so that people who miss the show or are more web oriented can be pulled into the show's gravity drunk oktoberfest costume. Check Out Our Video Room At Knightrokon 2013! 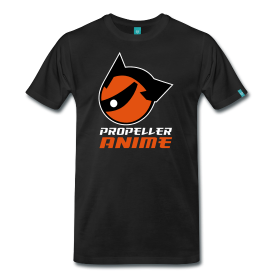 Propeller Anime Panels @ Knightrokon 2013!